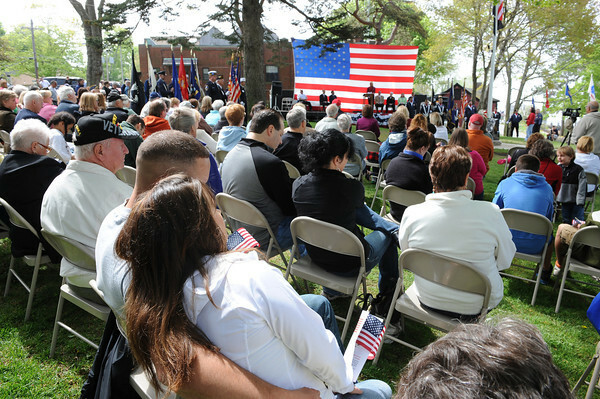 Magnolia: Kyle Benson who served with the 1st Battalion 11th Marines sits his girlfriend Michelle Greenlaw, as they listen to Lisa Ramos closing remarks at the unveiling ceremony in Knowlton Park in Magnolia,honoring all service branches. Saturday morning at the unveiling and ceremony in Knowlton Park in Magnolia. Desi Smith/Gloucester Daily Times.